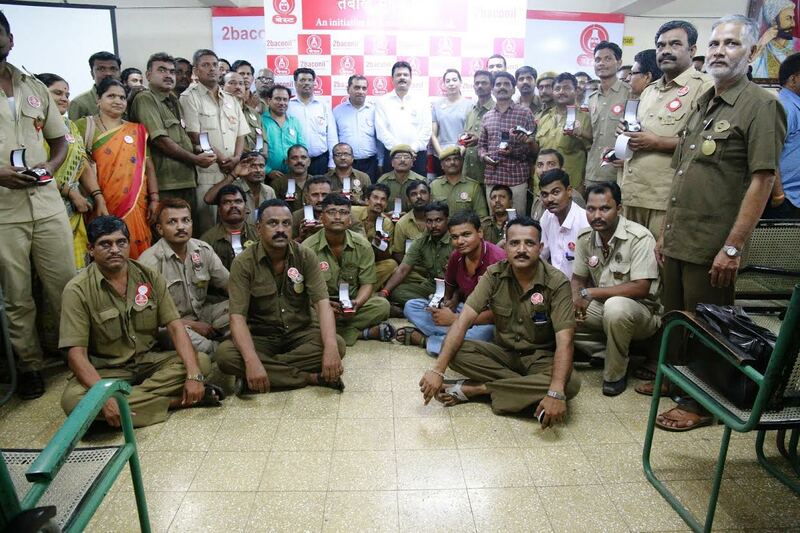 Mumbai, May 30, 2017: On the eve of World No Tobacco Day, last year Rusan Pharma aimed at promoting the campaign‘Tumbaku Mukt BEST’ by providing tobacco cessation services to 83 BEST employees to help them quit tobacco dependence and lead a healthy life. 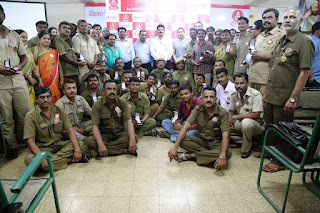 For this, Rusan Pharma along with its medical team sensitised and counselled the BEST employees across all the 25 depots in Mumbai to assess the intensity of physical addiction to tobacco and gave them the necessary treatment to quit. The campaign has been extremely successful and has resulted in 52(81.3%) of the participants quitting tobacco. Smoking or chewing tobacco leads to serious health concerns like addiction, gum disease, heart disease and cancer. As a socially responsible organization, Rusan Pharma conducted special camps for BEST staff to assess their level of tobacco addiction, educate them about health hazards of tobacco consumption and the importance of leading a healthy life by giving up tobacco. Rusan Pharma provided 12 weeks of patch therapy to 83 BEST employees to keep them away from the harmful effects of tobacco consumption. The report compiled by 2baconilTM to study the safety and efficacy of their 24hr Nicotine Transdermal Patches reveals vivid Tobacco consumption patterns of the sample, 75.9% (63 of 83) participants were tobacco chewers and 16.9% (14 of 83) were tobacco smokers and 7.2% (6 of 83) would chew and smoke tobacco. The tobacco chewers consumed tobacco daily at an average of 10.8 times per day, 48.2% (40 of 83) consumed tobacco at their workplace. 40.9% (34 of 83) of the participants tried quitting previously, with at least 3 or more previous quit attempts and failed. Out of the 83 participants, 64 (77.1%) participants completed the full 12 week 2baconil™ patch therapy, from which 52 of 64 (81.3%) participants quit tobacco consumption. Additionally, three participants who did not complete the full 12-week therapy but have still quit tobacco after completing 1-2 months of 2baconil™ patch therapy.